“The architects create the space and we give it meaning,” says Antoine Ricardou, founder and artistic director of be-poles, who has been closely involved in Le Pigalle right from the start, along with his studio team. Part-graphic artists, part-architects, be-poles is a creative hub whose work goes far beyond logo design! The studio has worked with the hotel owner to tailor the artistic direction of Le Pigalle and has given it real depth by recounting its history in way that couldn’t be further from the contrived storytelling we’re so familiar with today. 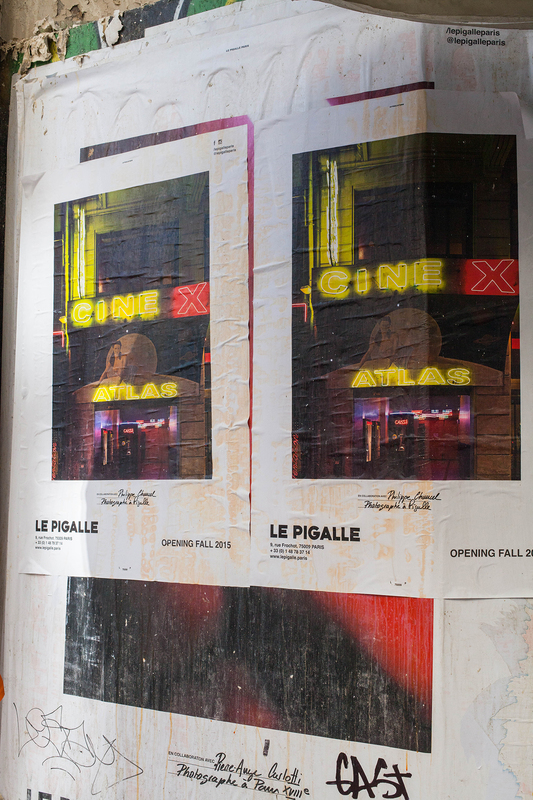 “I immediately connected with the project because Pigalle is my neighbourhood. I’ve lived on the Butte Montmarte since I was 14 and my grandfather constructed some of the buildings here, I understand its energy and I wanted that to come through in my designs for the hotel,” explains Antoine.